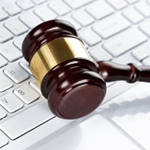 I would like to receive occasional information and updates from Our Lady of Victories Auction Site and jumblebee. The auction will run from 9pm on Thursday 22nd of February until 10pm on Thursday 22nd March 2018. Due to the generosity and support of so many parents and amazing local businesses, we have a superb selection of prizes to bid on, and all proceeds go directly to the school. This year, we are hoping to raise £7,000 to provide the school with science equipment, maths & literacy resources and new whiteboards & computing equipment. Thank you for your support and best of luck in your bids. PLEASE NOTE THAT SOME OF THE LOTS ON OFFER MAY ONLY BE SUITABLE FOR THE SCHOOL COMMUNITY. Please check each item for suitability. 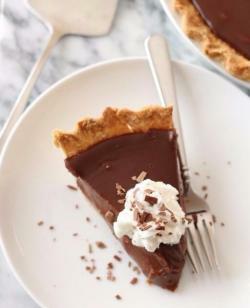 Pie + finest Venezuelan chocolate = Yum. Oh yes...there is sunshine at the end of these rainbows! 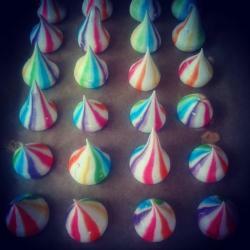 Bid for a box of 24 rainbow meringue kisses made by Jane from Everybody Cake. These colourful meringues can be used as a fun topper for cupcakes or cake, or to be eaten as they are! Made in a nut-free and peanut-free kitchen. 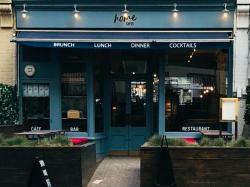 Home SW15 is open morning ‘til night, 7 days a week serving comforting, yet innovative, modern British food in a space designed to make you feel at home. Beautiful silk Burberry scarf which would make any woman happy! Brand New with tag on. 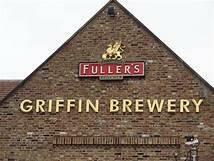 experienced guides, as well as a beer tasting of Fuller’s vast range of beers. Time to get ready for Wimbledon! 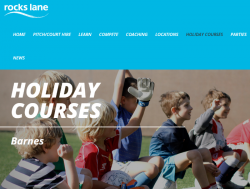 Sheen Parks Tennis offers a week of a Half-Day Holiday Camp 2018 at Palewell Common, Palewell Common Drive, East Sheen, SW14 8RE. 1 to 1 Assessment of Hypopressive-Low pressure fitness. With this voucher you will have a personal assessment with a qualified Low pressure fitness personal trainer in your own house. 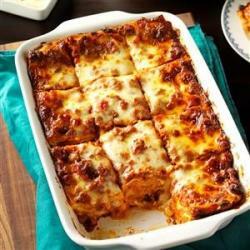 Cristina is offering this amazing Italian Meat Lasagna for six people. 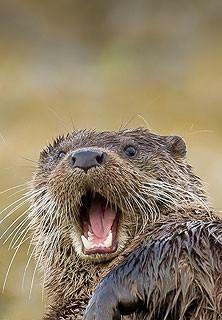 You will definitely be saying Mamma Mia! 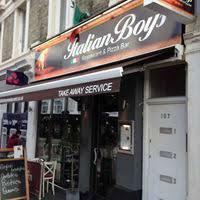 Enjoy a meal at the Italian Boys restaurant: fantastic authentic Italian cuisine, very friendly staff and cozy place. Evelyn Toner, a qualified and registered Dietitian, is offering a 60min consultation during which she can help you address and resolve any diet or nutrition queries you may have. 2 hours of French lessons from a French teacher, up to A level standard. 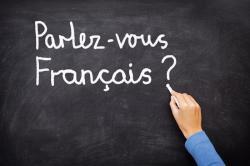 Brush up on your French before your summer on the Côte d'Azur! Authentic Polish Sernik. 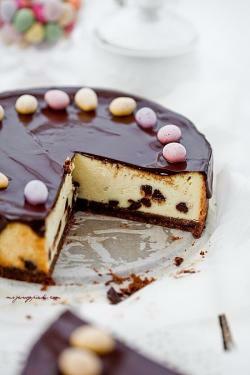 A typical Polish cheesecake is made with twaróg (a curd cheese) and bakalie, rich and delicious. 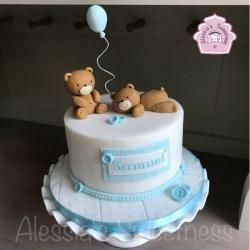 How about this beautiful cake for a special birthday party? It can be pre-ordered at any time this year. The cake is made fresh to order and require at least 4 days notice prior to collection. 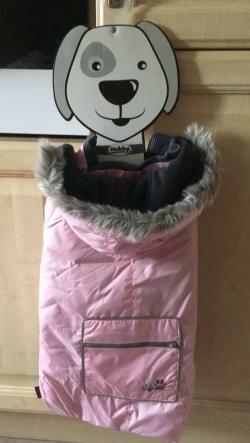 Mucky Pups Pet Shop has donated a pink dog coat. Your next stroll will be done in the height of doggy fashion! Pamper yourself or a lucky friend with this fabulous lot for a swedish massage. 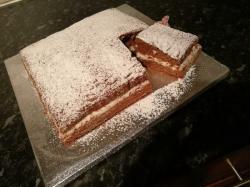 Alessia's Sweetness is offering a delicious bespoke 8' (15-20 portions) decorated cake. 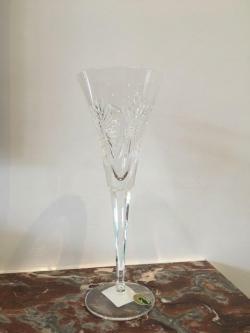 Value from £50 (depending on decorations). You could choose a 1 Lesson 1-1 or 2 hrs in Club Time Thursdays, 1pm-8pm. 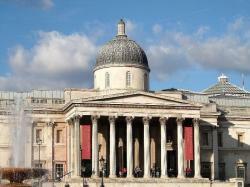 If you ever thought that pushchairs and museums didn't mix, think again! This two hour tour is geared towards children of all ages... yes, especially babies...and their parents. By exploring some of the gallery's highlights, children and parents engage with the artworks in new and creative ways. Led by Veronica Czeisler, Art Historian and Conservator. Geeta is a super nice and hard working independent hairdresser located in Battersea. There is free parking and a TV corner for the little ones to wait. An urban oasis for wildlife and people. Stroll among the lakes, ponds and gardens. 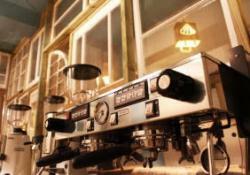 The café is perfect for relaxing, and kids will love the play areas. 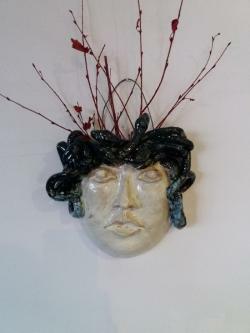 Apollonia is kindly donating one of her ceramic pieces (Medusa) for the auction. 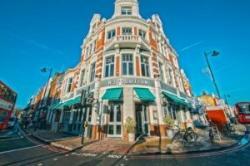 Hot drinks and buns for 4 at Putney's most stylish cafe and lifestyle shop. 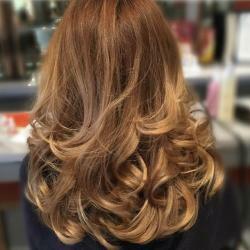 Studio 283 is offering a full hair treat: wash, cut and blowdry. Why not also bid for the other lots they are offering (bespoke facial and a swedish massage). It could be the ultimate day of pampering! María will go to your party and will prepare 20/25 margarita cocktails for your guests. The only thing you'll have to provide is the glasses. You won't forget this party! 2 tickets to Bocketts Farm. Be a Juliet and find your Romeo, without the tragic ending! We have a lovely family two bedroom flat (one queen and two singles) in the centre of Verona (5 minutes walk to the historical pedestrian centre). The flat has been recently refurbished and has a functional kitchen with dishwasher, washing machine, tumble dryer and air conditioning. This is a family flat that is not let out,and will be available for any weekend outside the summer holidays. The flat is on Viale della Repubblica and is close to the Basilica de San Zeno, Ponte di Castel Vecchio,Piazza delle Erbe (outdoor cafes, daily market and people watching) and the Arena de Verona (built by the Romans in 100AD and still intact). 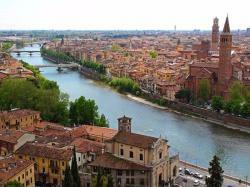 Verona produces some of Italy's most famous wines and is the capital of Italy's wine trade. The territory around Verona produces world-famous wines such as Valpolicella (Amarone), Soave and Bardolino. 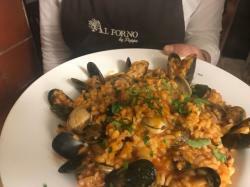 Or just spend your weekend eating in Michelin starred restaurants such as Ristorante Il Desco and La Fontanina. Direct flights (not included!) of about 2 hours are available with Easyjet, Ryanair,Monarch and British Airways (use http://www.easyfundraising.org.uk when booking to raise even more money for the school). 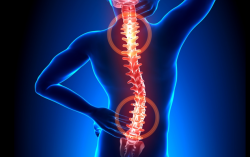 Specialist Postural Chiropractors in Putney. 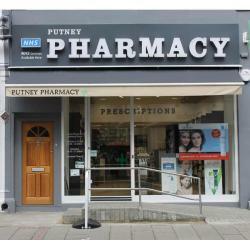 If you want to get the most out of life, regain your vitality, and not just cover up your painful symptoms, then we are keen to meet you! At Spirohealth, we want to see your body be able to heal itself and for you to feel more youthful in your appearance and energy levels. Voucher is for an initial consultation and report of findings plus 2 treatments. Worth £100!! 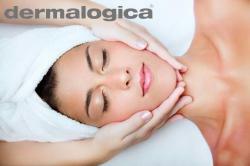 Indulge in a skin treatment specific to your skin's needs. So good Stephan has kindly donated 2 lots! Chez Stephan will ensure that you enjoy the pampering of a cut and blow dry with a glass of wine or bubbles! Valid until 22 May 2018. 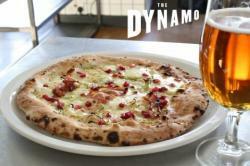 Complimentary voucher entitling an evening meal of 4 pizzas and one drink each (choice of pint of beer, glass of wine, soft drink). 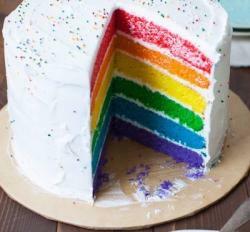 This Rainbow Cake is vanilla flavoured and has 6 colourful layers with a delicious cream cheese icing. The cake is 20 cm across and about 25cm high and should generously feed 16. Chez Stephan will make sure you are the best groomed dad on the school run, and pour you some wine whilst the salon works its magic. Worth £55. £30 voucher against a cookery class of your choice (Kids classes, Italian cooking class, sushi in the City, Dinner-in-a-dash...) at The Avenue Cookery School in Wandsworth. 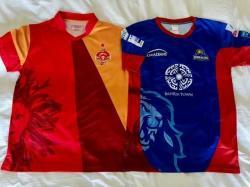 Two t-shirts from PSL (Pakistan Super League 2018) top two teams - Islamabad Utd and Karachi Kings. 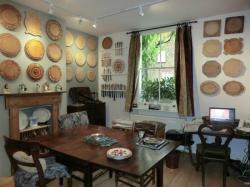 The world's first Antique Breadboard Museum is only a stone's throw from OLV! This special gift-experience gives you hands-on access to over 100 stunning boards and knives from the Victorian period. Located in the home of the collector, you will have a unique tour where you will learn the fascinating history of the boards and the carving skills involved, finished with some lovely cream tea. You get to choose your favourite breadboard to present your pastries too! Tours of up to 4 visitors by appointment, this voucher is worth £15 and entitles entry for 1 person. 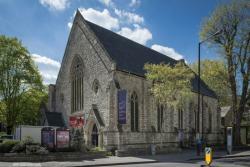 UK Summer, Easter and Half-term Kids' camps for children from 4 years old to 10+ with it's ever popular venue a stone's throw away in Putney High School. The head instructor Alfie Davis is a current two-time World Champion and has been teaching kickboxing since 2006 at various schools around London. From his wealth of knowledge and experience, he has designed tailored kickboxing programmes for the whole family: toddlers, juniors and adults. Kickboxing is an interactive fighting sport that uses traditional boxing techniques along with a variety of kicks, knees and elbows. We use a variety of teaching methods that make our classes fun and challenging to all, each student is treated as an individual and trained accordingly. Whether your goal is to become the next World Champion, gain a Black Belt, get fit, learn some self-defense or simply enjoy the sport of Kickboxing, Sensei Alfie can help you to achieve your goals. There are three programes to choose from - Little Dragons (4-7 year olds), Juniors (7-12 year olds) and Adults. 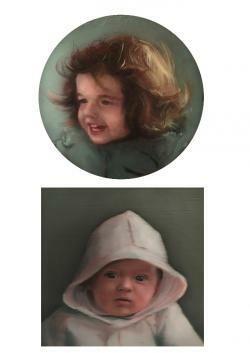 Tom is offering to paint a portrait of your child, oil on board from a photo. 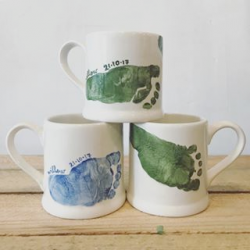 Such a nice way to keep precious memories forever! 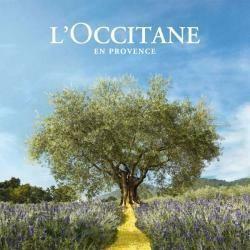 Enjoy a pamper evening for 10 friends at L'Occitane Putney. 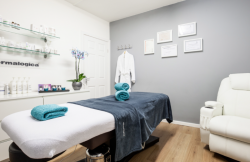 You will be able to enjoy a luxury hand and arm massage, and a skincare consultation from our trained beauty advisors with complimentary wine and chocolates throughout the evening. Discover the products, browse and shop at your leisure, and take home a treat with any purchase at the end of the evening! 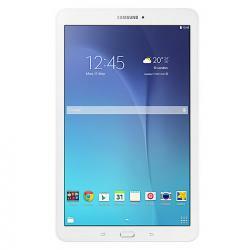 The Samsung Galaxy Tab E is a stylish, affordable tablet with an ergonomic design, practical camera options and a number of child-friendly functions that make it perfect for the entire family. With Multi Window on the Tab E, you can access two apps at once. Multi Window allows you to open two supported apps side by side, making it easy to flip through photos as you write an email or check you calendar and social network at the same time. With Kids Mode on the Samsung Galaxy Tab E you can have peace of mind, while allowing your children to enjoy a colourful, engaging tablet experience. It gives you the ability to manage what your kids access and how long they spend using it, all while keeping your own files private. Kids Mode is available to download for free from Samsung Galaxy Essentials via Samsung Apps. The Tab E is just 8.5mm thin and weighs less than 500g making it a practical tablet to take on your travels. A non-slip fabric-style rear casing provides you with a secure and comfortable grip. It's easy to get to grips with the Galaxy Tab E thanks to the Samsung Smart Tutor app. Available to download from Galaxy Apps, Smart Tutor gives you access to remote-controlled assistance from a team of technical experts to help you understand all of the functions of your tablet. The Tab E comes with 8GB of memory which should prove plenty of room for storing all of your apps and games. If you need more room for media, such as music, photos, movies and more, then you can increase the Tab E's memory by up to 128GB with a microSD card. The Tab E includes both front and rear facing cameras with advanced features to help you take high quality photos with a single touch. You can even take a sequence of photos one after the other by holding down the shutter button. This is for the coffee lovers....we know who you are!! Bid for a Home Brew Coffee Master Class for two in the Artisan Coffee School in Ealing plus two retail bags of their lovely coffee - the Redchurch blend. These Rainbow Cupcakes are vanilla flavoured and have 6 colourful layers with a delicious cream cheese icing. Come and do some pottery painting. This is an unforgettable experience, especially because you take home the pottery! With this voucher you will get £25 off your visit. 2 hours Startup advice over coffee/beers with CFO. 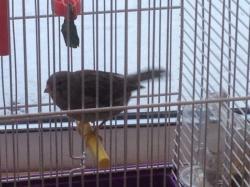 The Malpartida family is offering their lovely and amazing singer grey Canary for a weekend: "Grillo". Wake up with his songs and you will feel you are in the Cotswolds. 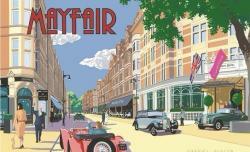 A guided tour of St. James's and Mayfair's most interesting art exhibitions. Contemporary Art Specialist Martina Batovic offers a guided tour for up to 4 people guiding you through the rarefied air of London's art world, discussing and explaining current trends. Followed by tea at the Royal Academy's Academicians' Room Private Members Club. Date to be mutually agreed. 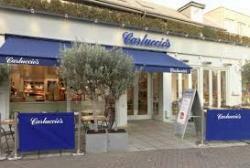 Have a romantic meal at Putney’s friendliest and best Italian restaurant. Are you up for good food and a great time? The Aranda-Zoghbis never disappoint!...Sushi and Bubbles for 4 are awaiting the winner of this lot. Let the good times roll! 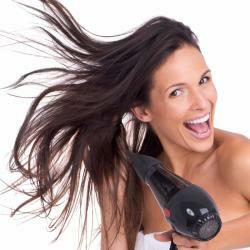 Chez Stephan will ensure that you enjoy the pampering of a blow dry with a glass of wine or bubbles! A fully qualified electrician will attend to all your electrical needs for 2 hours. Causa Limeña is a very unique Peruvian dish. 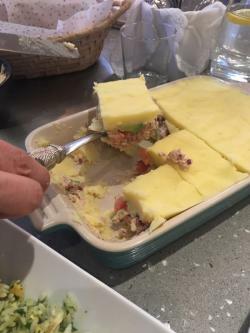 Served cold as a starter or as a light meal, this dish is made with mashed potato deliciously seasoned with “aji amarillo” and lime, stuffed with tuna, onions, avocado and tomato. 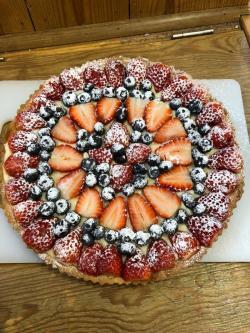 Constance will make this fruit tart for you...So good you will lick your fingers! 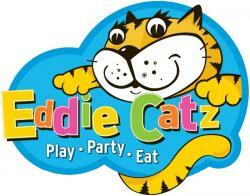 This voucher gives you access to 1 session at Eddie Catz for 1 adult and 1 child. 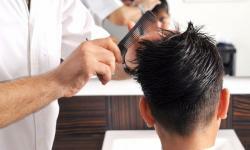 Chez Stephan will ensure that you enjoy the pampering of a cut and finish with a glass of wine or bubbles! 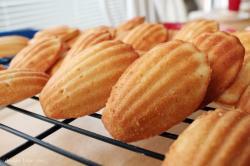 12 delicious little buttery French sponge cakes. Delivered fresh from the oven. 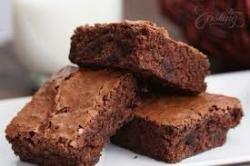 A great after school treat, mums coffee morning or for a birthday party. Or just eat them all yourself! Make your staycation the best one ever this summer! The Bank of England Sports Centre is delighted to offer you and your family a ONE MONTH complimentary membership trial at the club. - Swimming pool and relaxation suite (sauna, steam & jacuzzi). 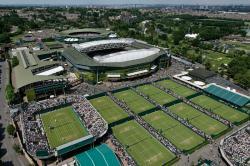 - All weather tennis courts and squash courts. - Gym and 2 fitness studios offering an extensive studio timetable. 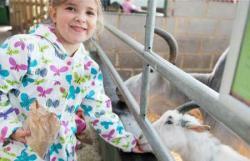 - Soft play area and adventure playground. - Paddling pool and creche. 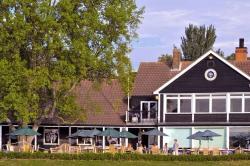 - Restaurant and members' bar. 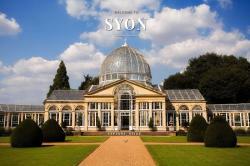 Bid for this complimentary family pass to Syon House and Gardens. This is a hidden jewel, though you might recognise the premises from quite a few films. This pass is valid for the current season (up to 28th October 2018). 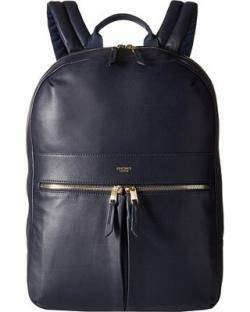 Black 'Beauchamp' 14" backpack by Knomo. A slim backpack, great for commuting with your everyday essentials. It fits a 14" laptop, has a pocket for your phone with RFID blocking and is splash resistant for those inevitable coffee spills. Please note the backpack is a leather and fabric mix. A cosy sofa for 2, a movie of your choice. Splash out and have a meal at the Cafe and Dining Room perhaps? 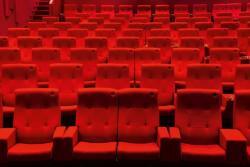 On offer is a sofa for 2 at a movie of your choice. Relaxing 90- minute body massage for busy mums! Monika at MizaMassage will make sure that you forget all of the stresses of everyday life with a 90-minute full body massage. Get your little stars to shine with this lot! 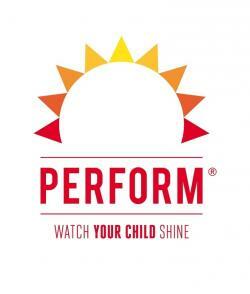 1 term of lessons at Petite Performers which could be used for baby ballet, tiny tap, mini movers hip-hop, didi drama and singing. Get ready to celebrate on Easter Sunday in style!! 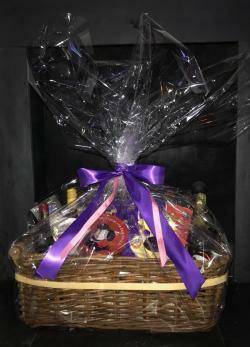 This hamper comes with great treats, such as bottle of white & red wine, bucks fizz, bottle of sparkling chardonnay, 2x easter eggs, a novel, Japanese sesame nut oil, after eight chocolates & a green & black choc selection. Take your dollies to the park in style with the Dimples Ella Tandem Stroller. Both pushchair seats are reversible so you can change the direction your dolls are facing. The stroller includes a storage area underneath the seats to store all of your accessories when you're out and about. From the soft grip handle to the sun canopy and front swivel wheels the Dimples Ella Tandem Stroller is a must have for your dolls. 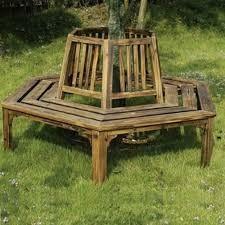 Are you getting ready for those lazy afternoons in the garden? Constance will host a movie party on a big screen at her house for up to 8 children. 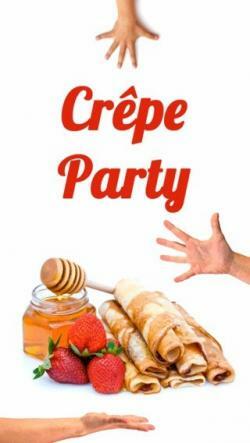 She will also makes delicious fresh crepes (the French way, of course) for birthday tea. Does not include birthday cake, drinks and party bags. Winner needs to provide the movie. A responsible adult will have to stay for the duration of the party. 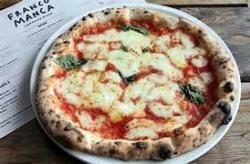 This voucher will give you £25 to spend when you eat in or take away delicious pizzas from Franco Manca in Putney. What's not to like!! 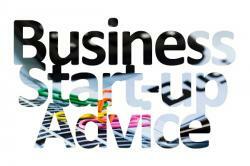 Conrad James is offering two consultations to kick start your project. 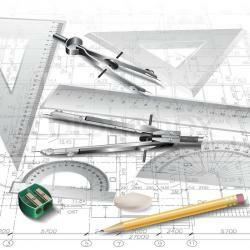 He is a qualified and registered architect, experienced in residential design, the planning system, building regulations and the construction process. Whether you’re dreaming of extending your property, or have other ideas you’d like to discuss with an architect, these two consultations should point you in the right direction. Having a party ? 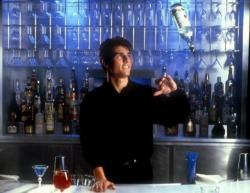 Can't afford Tom Cruise to make cocktails ? Let me come make Mojitos for you. I will supply all the ingredients and equipment to make approx 30 Mojitos and will come mix them for you. That's a Mojito street value of at least £300 I reckon !! 2 Jump vouchers at Flip Out Wandsworth, London’s biggest trampoline park with something on offer for all ages! Odeon Cinemas has kindly donated 2 guest tickets. Make it a splendid night out by adding a movie to your plans. Planning that short getaway to sunny Spain?... 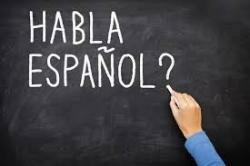 why not bid for 1hr Spanish lesson for any age. 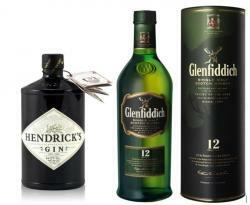 1 bottle of Hendrick's gin and 1 bottle of Glenfiddich 12 year single malt whisky. 2 tickets to a production of your choice. Why not splash out and bid for both lots, you could organise a really special night out with friends! 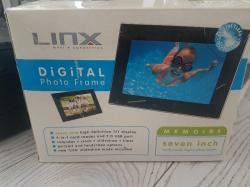 Used once, still in original packaging. 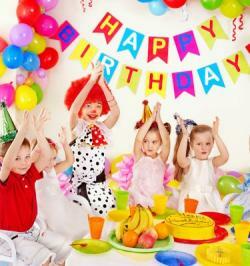 Hooray London is donating a 2 Hour Party for 7 Friends at their venue on the Lower Richmond Road. Win a meal for 4 people in one of Putney's newest social scenes where good times are always on the menu! 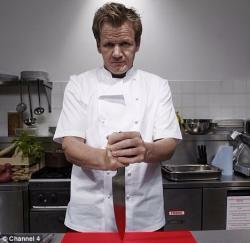 Be a Chef for the Day - Get to spend the day in the school kitchen. Suitable for any KS2 age children (Y3-Y6 only). This bid can be for one child on their own or two children together (siblings or friends). Good luck! 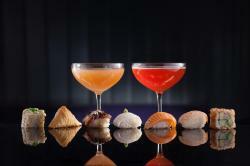 Win a Cocktail Masterclass from Home SW15, a first understanding of Mixology Masterclass with infamous Fredi! 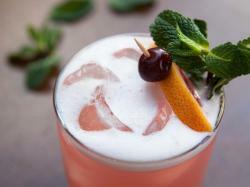 An evening of cocktails and creativity. "Professor" Fredi educates and demonstrates the secret behind making the perfect drink, in a hands on mixology class. Giving you the skills and knowledge from taste and flavour to shaken or stirred resulting in the creation of your own unique cocktail on the night. Then it's time to team up and showcase your skills in a friendly competition for a chance to have your beverage listed on the top of our menu for that week! Includes a drink on arrival. snacks & your own "made @ home" Creation for up to 6 people. Are you craving for the fresh taste of Italy? Why not bid for Cristina's homemade fresh tagliatelle. Cricket fans, this is a lot you won't want to miss! 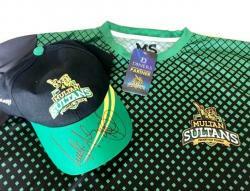 T-Shirt and cap of brand new PSL (Pakistan Super League 2018) franchise - signed by two sporting legends Wasim Akram and Sir Viv Richards. 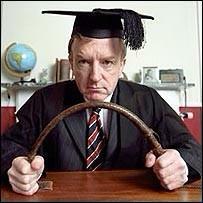 Mrs McDonald will relinquish control for the day and allow one lucky child to become the Head. So much power, so little time. 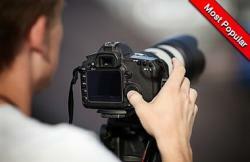 Bid for a full day Intensive Beginners Photography course - a very popular course for photography enthusiasts. The Intensive photography course is a full-day workshop from 10am - 5pm. Group size is maximum 8 attendees. The course is run every week, one on a weekday (Wednesday or Thursday) and one on a weekend (Saturday or Sunday). 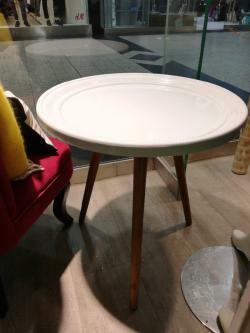 Brand new table from Huttons! 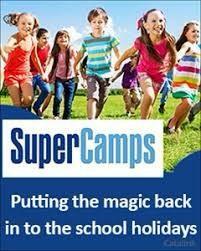 Little Voices are happy to offer a £50 gift voucher which can be used towards our lessons or half term/summer camps. There is always so much to see and do at ZSL London Zoo. Visitors to Tiger Territory will embark on a journey through an Indonesian habitat, coming face-to-face with beautiful tigers through the floor-to-ceiling glass windows. Step into the land of the lions: ZSL London Zoo’s newest and most breath-taking exhibit transports visitors from the heart of London to India’s vibrant Sasan Gir, where they can get closer than ever before to mighty Asiatic lions. Into Africa offers the opportunity to come eye to eye with some of Africa’s most unusual animals. Giraffes, zebras, okapis, warthogs and African hunting dogs all feature in this exciting exhibit. The Gorilla Kingdom brings the African rainforest to the heart of London. You’ll be able to meet Africa’s most exciting residents, featuring a colony of western lowland gorillas. This is one encounter you’ll be sure to remember. 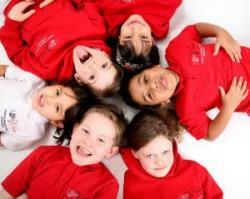 Art Academy provides children with an education in art that has been properly developed by a qualified teacher. 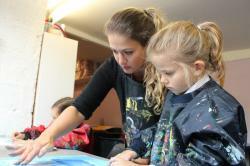 The children will have lots of fun and be able to use art as a tool to learn valuable skills and confidence! A truly delicious chocolate cake with cream and mascarpone, italian recipe...mamma mia!